Because of its new, innovate approach to comparing global problems, the following section is designed to give an overview of the project goals and methodolgy used in compiling the research for A Scorecard for Humanity. If you have further questions about this project, or any of the Copenhagen Consensus Center's other work, please email us at the address found at the bottom of the page. 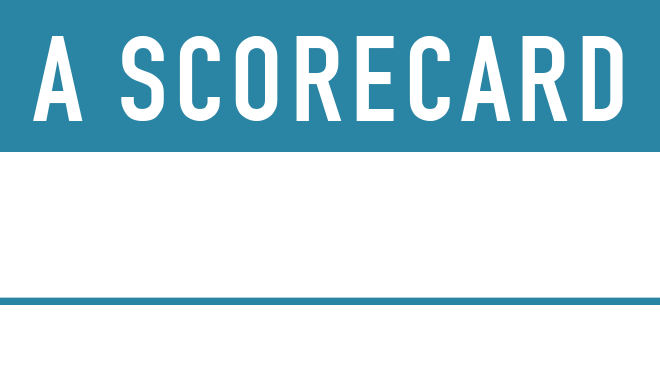 The main outcome of A Scorecard for Humanity is an overview of the development loss to the World, measured as economic loss of GDP, due to the key challenges that have faced humankind in the last hundred years. that this body of research will provide the opportunity to describe and explore the evolutionary state of the world and its challenges in harmonized economic terms and in a new and intuitive way, as a share of GDP, world production value. It includes for each challenge an economic forecast of future development. The main purpose of the Assessment Paper is to present an updated economic assessment of the historic and future expected economic welfare loss attributed to the challenge. Based on the best available data, historic sources and case studies, the AP will utilize statistical tools and descriptive historical economics to portray and assess - as a share of GDP - the global and, where possible, regional welfare losses from the challenge in question. We wish to have the highest possible degree of consistency between the Assessment Papers so that cost figures can be compared across challenges. It is acknowledged that since the Assessment Papers are covering very different topics/challenges and are based on existing empirical available data as well as new research based on varying methodology, ensuring comparability can be demanding. However, presenting the key assumptions and methodology will ease the comparisons. To overcome data availability constraints and to ensure credible cost estimates are made for each challenge, especially for the first half of the 19th century and for less developed countries, each researcher has provided a sensitivity analysis to establish a better range for measuring uncertainties. To coordinate the data on key variables of GDP and global population data, we advised our researchers to use Maddison's historical GDP and population data, from 1900-2008. All money figures are measured in international dollars using purchasing-power-parity (PPP). The welfare cost includes all social and environmental costs attributed to the challenge. It can be measured as the additional personal and social welfare from solving the challenge. If, say, the challenge of education is defined as the problem of illiteracy, then the total loss attributed to education at a given point in time is the total benefit from solving that problem overnight and completely. The economic analysis provides the best possible estimates of the historic, present and future welfare cost from a given challenge. While many interconnections will be priced, of course not all can be determined. The editor’s notes as well as the APA’s research papers address and estimate the size of the omitted interconnections. Some researchers have also included a value of DALY in their presentation of loss from a given challenge. Estimates of the value of DALY vary highly. The researcher has allowed that DALYs vary between income groups, countries and over time. Reasonable estimates for the present time are $1,000 for the low and $5,000 for the high value. Our researchers were recommended to use GDP/capita as a proxy. The discount rate most often used in environmental assessments is a 3% whereas public budgets often use 5-6%. Thus, each papers strives to present the discount rates used and assess the robustness through high and low rate calculations. Finally, it is acknowledged that a credible 150-year-long time series is challenging to produce. We accept that this requires creative thinking, hard estimation, risky assumptions and generalization. All researchers were instructed to present all key assumptions and methodology in their works.